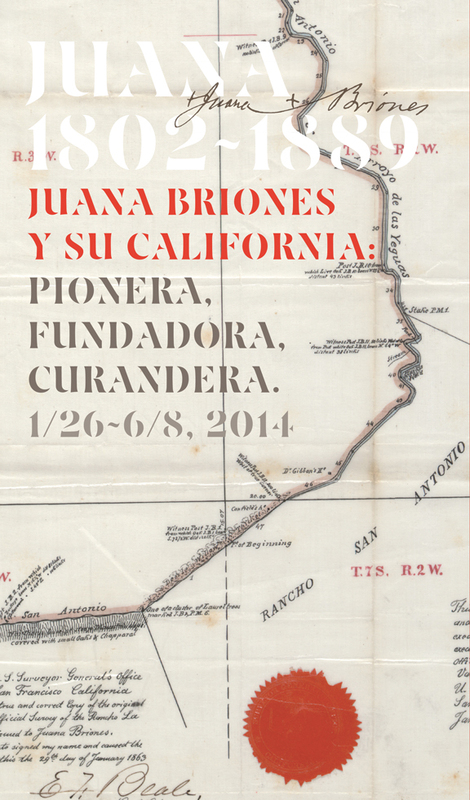 In this bilingual exhibition about the life and times of Juana Briones (1802–1889)—pioneer, founder, healer—shows the transformation of California under three flags: Spain, Mexico, and the United States. It navigates alongside Juana—without a formal education yet dynamic, strategic, and resourceful—through the social, economic, political, and legal upheavals of nineteenth-century California. 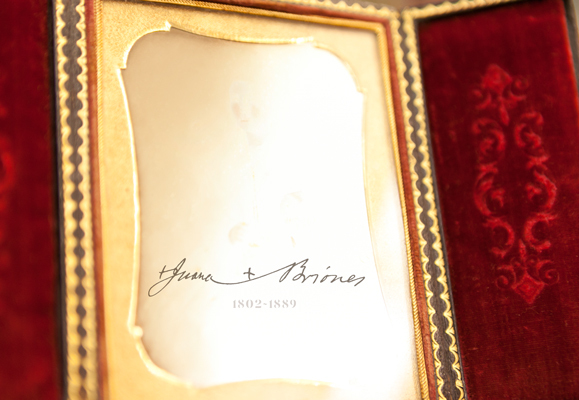 As there is no known portrait of Juana Briones, the exhibition through paintings, maps, portraits, legal documents, and artifacts, realizes a vision of Juana Briones as a woman adaptable yet undaunted in her pursuits. More broadly, through her accomplishments—as mother, landowner, business woman, and humanitarian—we glimpse how some women, including those of Mexican and Spanish descent, influenced California’s history on a wide-ranging yet distinctively human scale. Website developed by Cliff Simmons and Omar Lopez. UCLA DMA interns involved Amanda Fung and Mika Tohmon. 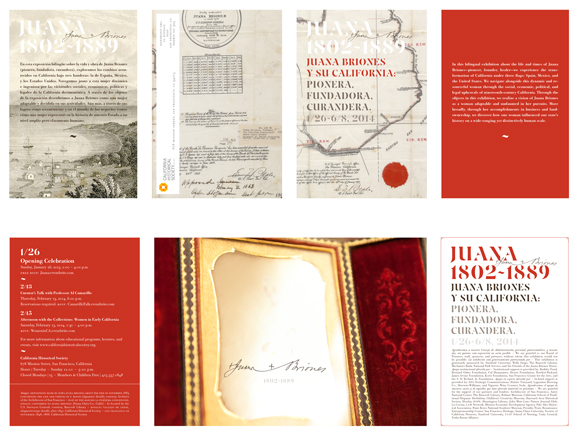 Juana Briones y su California, invitation, center spread. Juana Briones y su California, invitation. Juana Briones y su California, gallery guide, front page.